The most recent Futures CoLab activity completed was a scenario development exercise with ClimateWorks Foundation. A broad range of experts participated, including members of Future Earth's global network of researchers and other subject matter experts. This alternative futures exercise was not about prediction; it was about exploring possible futures that may influence philanthropic investments to drive climate mitigation. The exercise took place from July 9 to August 3, 2018. ClimateWorks, established in 2008 to help philanthropy meet the challenge of global climate change, is committed to identifying philanthropic priorities for today that set us up to achieve close to net zero emissions by mid-century. 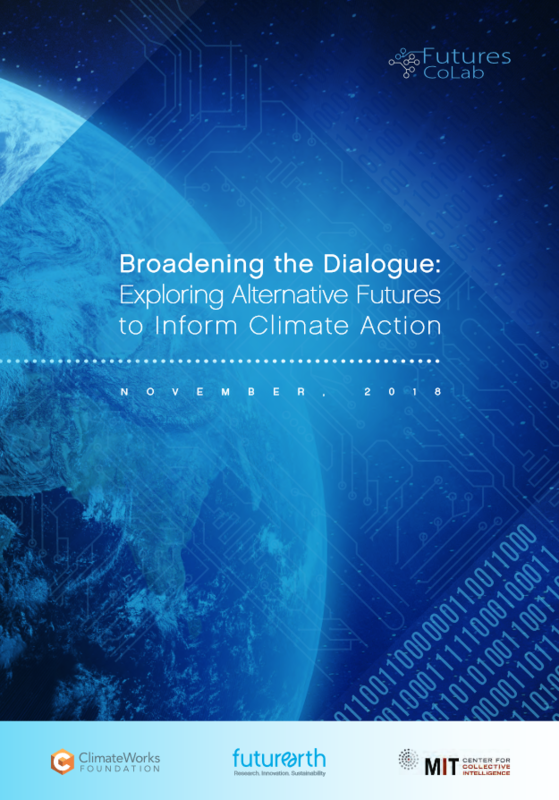 This exercise formed a part of their ongoing efforts to explore the economic, social and political trends that are likely to shape the next ~30 years and the implications for funding priorities for climate action. A report on that effort is available here. 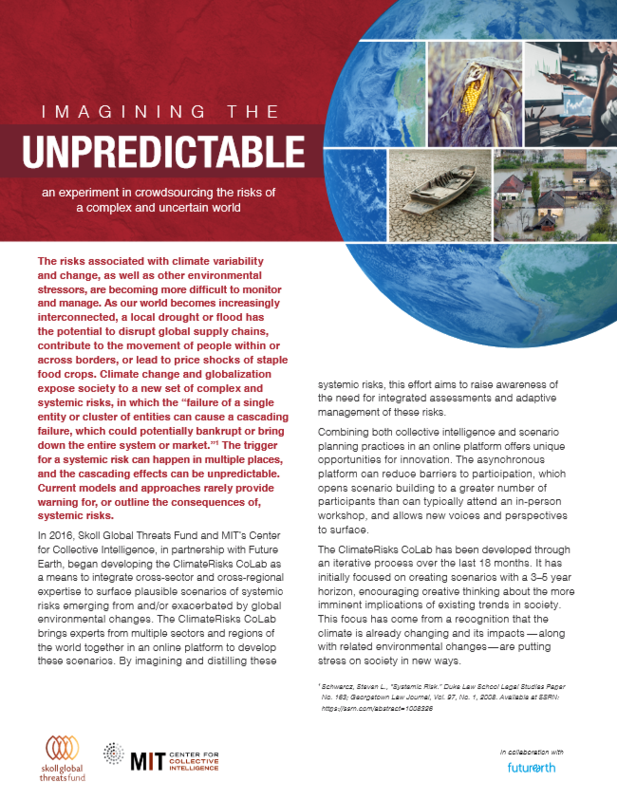 During the fall of 2017, a predecessor platform to Futures CoLab was used to develop scenarios on how climate change might affect human security over a 3-5 year period. During this six week exercise, 60 participants worked together online to contribute more than 200 drivers of future change, nearly 40 mini-scenarios, and 7 full scenario narratives. At a workshop at the Planetary Security Conference in the Hague in December 2017, attendees were invited to use the online tool to participate in a portion of the scenario development process.